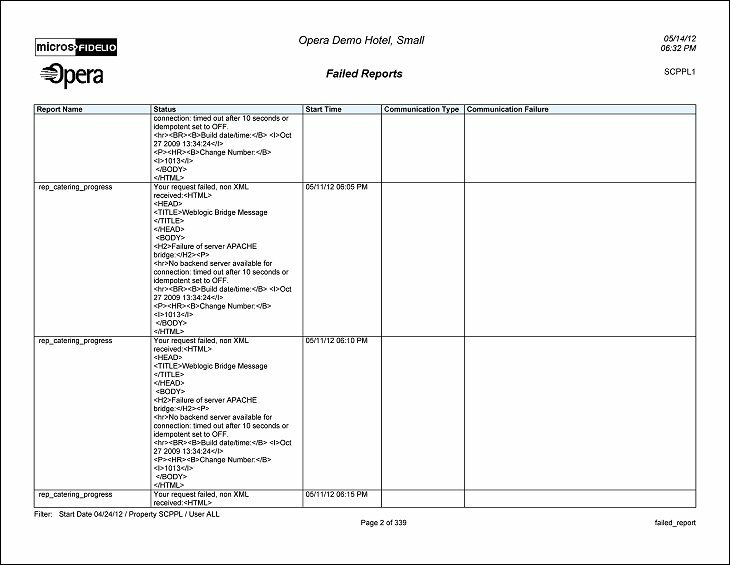 This report displays failed scheduled reports from the Reports Scheduler that have failed to run or failed to transfer to a folder or SFTP (Report Execution Errors and Report Distribution Errors). As a scheduled report itself, Failed Reports can be set up to run and email users or administrators at the scheduled time. Note: When printing this Report help topic, we recommend printing with Landscape page orientation. Property. Select the down arrow to choose a property for which you wish to view failed reports. Properties that are available for selection are based on the properties that the logged in user has been granted access to. See Edit Users for details. Start Date. Select the beginning date for which you want the report to display failed reports. Users. Select from the LOV one or more users whose failed reports you want to display. The list contains all active and LDAP users in the selected property(s). Preview. Use the preview option to view the generated output of this report in PDF format. Print. Use the Print button to print the report to the selected output. File. Prints the generated report output to an HTML, PDF, RTF, or XML file. Close. Closes this report screen. 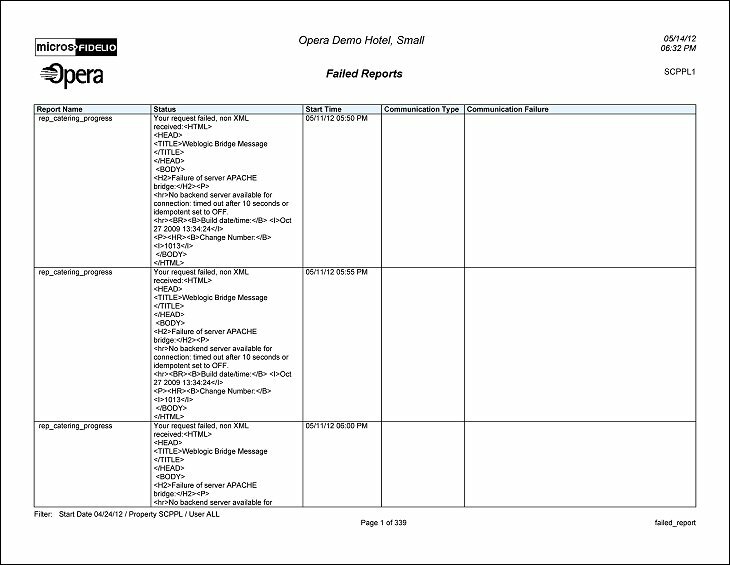 The report contains the Report Name, Status (Report Failure Reason), Start Time, Communication Type, and Communication Failure (Reason for Transport failure).